Lily's father has climbed Denali mountain peak six times, but his last trip ended in a freak accident. A glacier shifted unexpectedly, opening a crevasse underneath him and pulling him to his death. Lily, her mother, and older sister Sophie are dazed by the news, but Lily remains convinced that he is not dead and needs her to rescue him. She manages to talk her mother into letting her and Sophie go to Denali as long as they abide by her rules and check in with Ranger Collins. The girls assemble their provisions, take a long bus ride there, and do a lot of hiking, some okayed by their mother and some not. Lily remains steadfast in her belief that she can save her father for a long time. They run into a few problems but eventually find the site of their father's accident and begin to make peace with what has occurred. Strengths: There are lots of good details about how to pack for a mountain climbing expedition, and Lily and Sophie run into a few interesting problems (now I know how to remove porcupine quills from someone's hand! ), but generally practice good mountain climbing safety procedures, even when things go wrong. 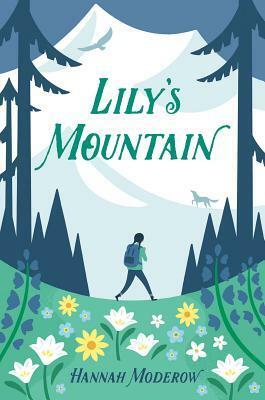 Lily's grief at her father's "disappearance" is palpable, her belief that he is still alive is realistic, wishful thinking that middle grade students might experience, and I was glad that she was able to get a better hold of reality by the end of the book. Weaknesses: Most of my readers want their mountain climbing adventures without the side of palpable grief. I found it difficult to believe that Lily's mother would have sent her and Sophie off by themselves; if the mother had gone with them, that would have made more sense. What I really think: I will not purchase, because I don't have the readers for this type of story.